This picture was taken after our visit to the swamp and is only involves about half of the group (I am hoping to find a better picture soon). 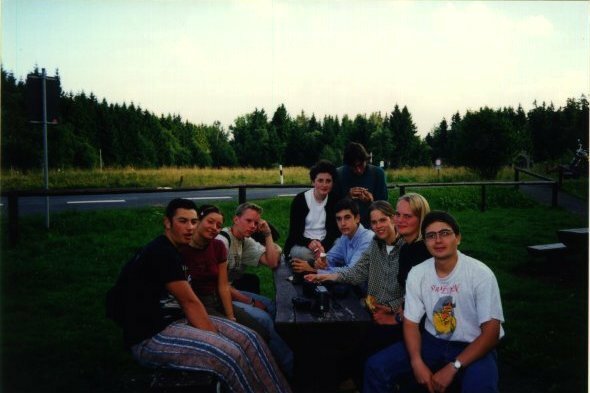 From left to right: Görkem (Turkish), Daria (Italian), Batist (French), Dian (Belgian), Vania (Slovenian), Alvaro (Spanish), Frederike (Nederlands), Katherine (? ), Kaan (myself). 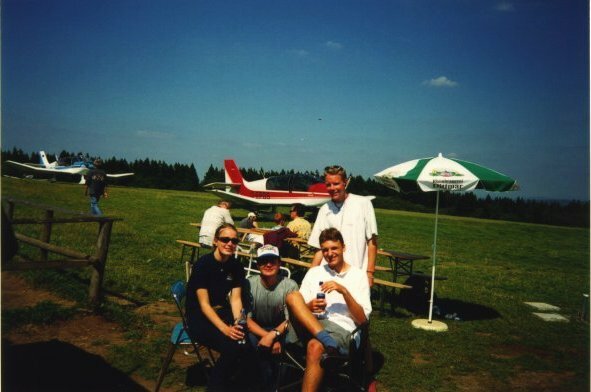 And in this picture, you can see the wasserkuppe with 2 more people you haven't seen in the other photograph. On the left Kaia from Norwey and on the right, Andreas from Slovakia.